Biltwell without a doubt had riders in mind when developing the Exfil-80 Bag. 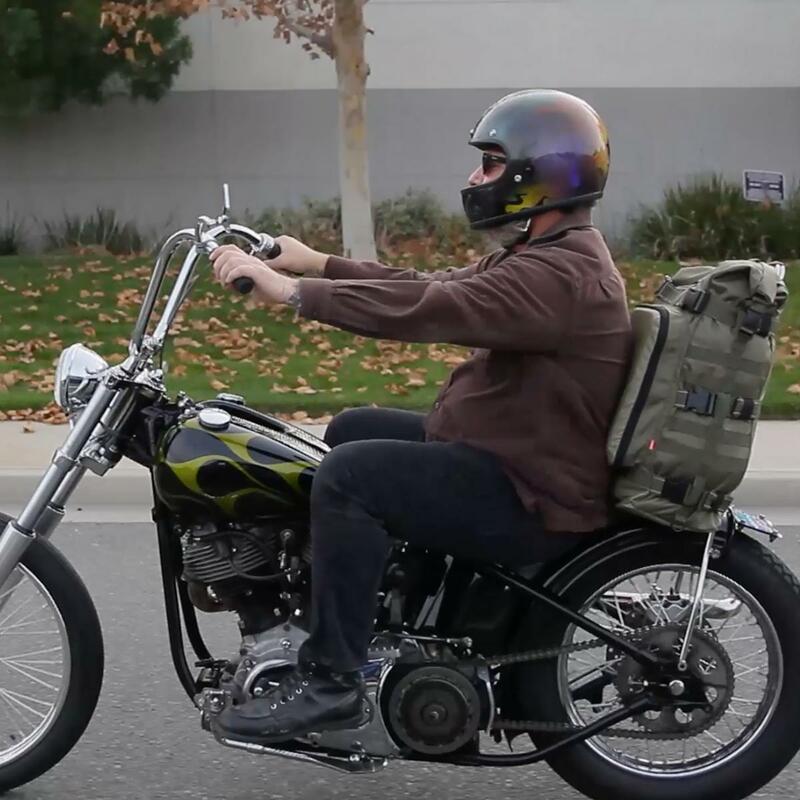 This motorcycle bag is durable and is able to hold whatever you need to travel and camp on your motorcycle. The bag features a tool compartment, a padded section you can lean on, and a attached water-proof sleeve to protect your gear in case it rains. The Exfil-80 Bag makes travel easy and we highly recommend it for your next trip.